Dec 17, 2015 All of our special promotional packages are based on availability. On certain holidays like Christmas/New Year’s & peak season/March these promotional packages sell-out even faster than usual. Since your preferred resort was fully booked during your New Year’s travel dates, we we contacted you via email and offered you an equally lovely resort which was available on your travel dates and could accommodate your large family. Unfortunately, you have not responded to our repeated attempts to contact you to finalize your reservation. Because you never made a formal reservation, your credit card was never charged. Although time is getting short, if you are still interested in taking your family on a vacation to celebrate the New Year, please feel free to contact me directly. I can be reached at James@bookvip.com. I think it is a scam.I tried to book a deal on their website. They take your reservation and credit card first. Then you have to call to confirm. I called to confirm. They did not have any rooms left at the place for that deal.The person was not in United States. Took 10 minutes for her to understand my name and email. Tried to get me to book at another place with none of the amenities but,at the same price. 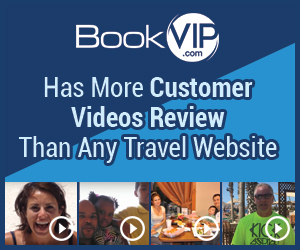 Product or Service Mentioned: Bookvip Deal. Review #748516 is a subjective opinion of User748516.